Main entry point is as indicated on map, NE corner of dwelling. Activity is clearly seen along E facing weather boards and base board. 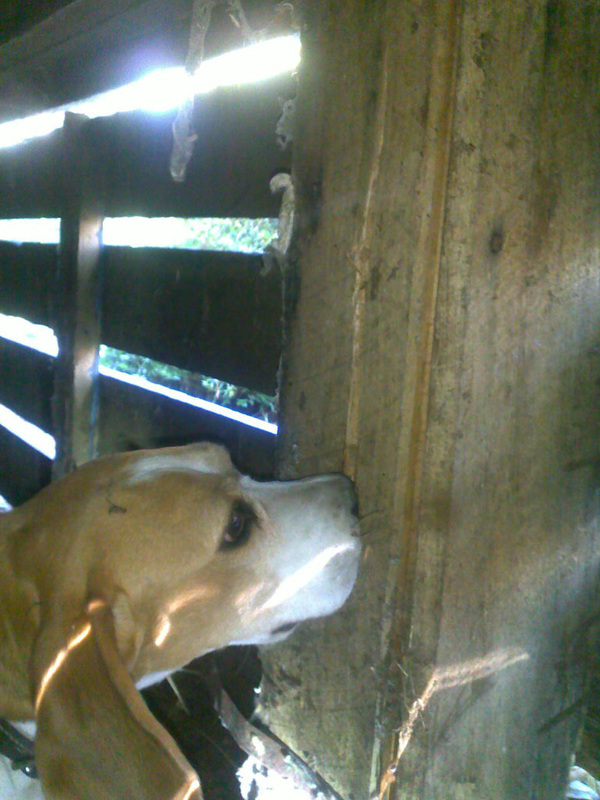 Base boards along N side under decking has also been attacked randomly. 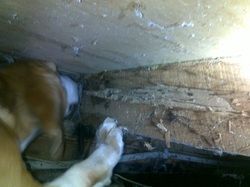 It appears infestation may have originated from decking skirting boards which have since collapsed how ever still live. 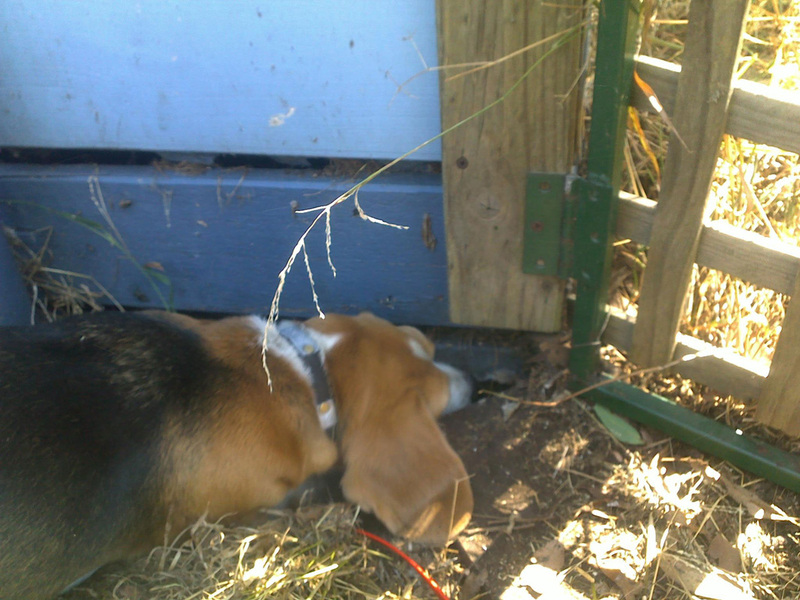 Termites have been selective on attacking timbers. It appears joist and bearers within reach around the hot spot have not been affected except at No1 ref map. 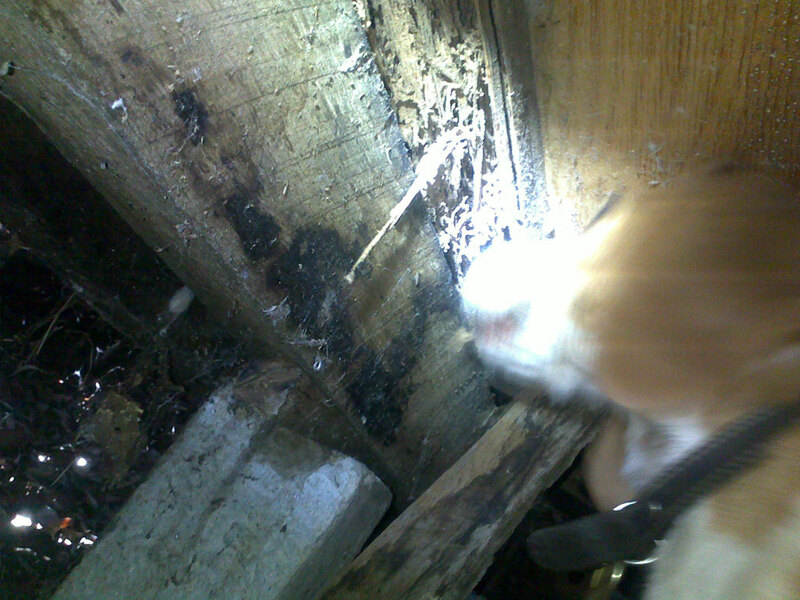 One joist nogging No2 has been completely hollowed.